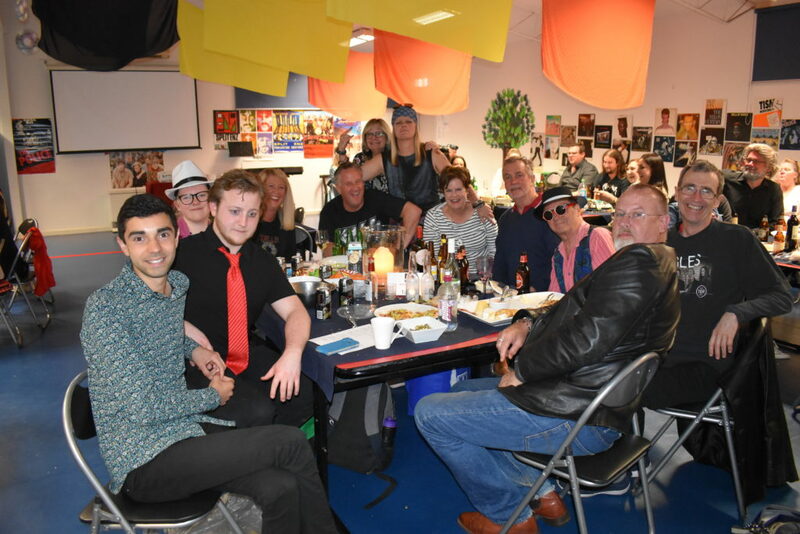 On the 27th of October the GPA together with a committee made up of staff and parents put on ROCKTOBER – a music trivia night. This committee was made up of Laura James-Clark, John Jacobs, Andrew Aitken, Mark Dorrington, Dave Johnstone and myself. We prepared both the trivia questions for the night and made up the band that played live music. Many other members of the GPA helped in setting up the night. Caitilin Hawkins and Andrea Carveth decorated the hall on a budget of zero – but the hall looked magnificent. Hayley Kringas came and turned the high jump bar into a wonderful Photo Booth backdrop. 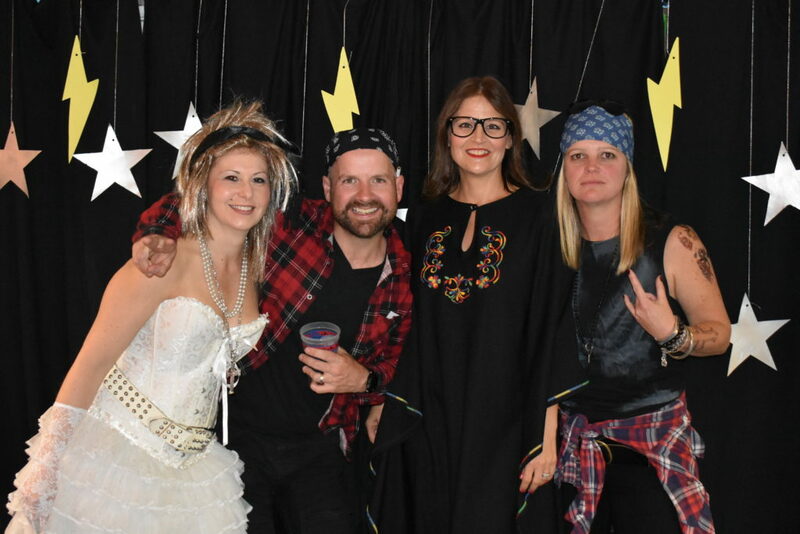 Nicole and Theo Verginis along with Katherine Dench and Angela Natalier helped move desks from the classroom to the hall and by the time we got started our school hall had been transformed into the setting for ROCKTOBER. 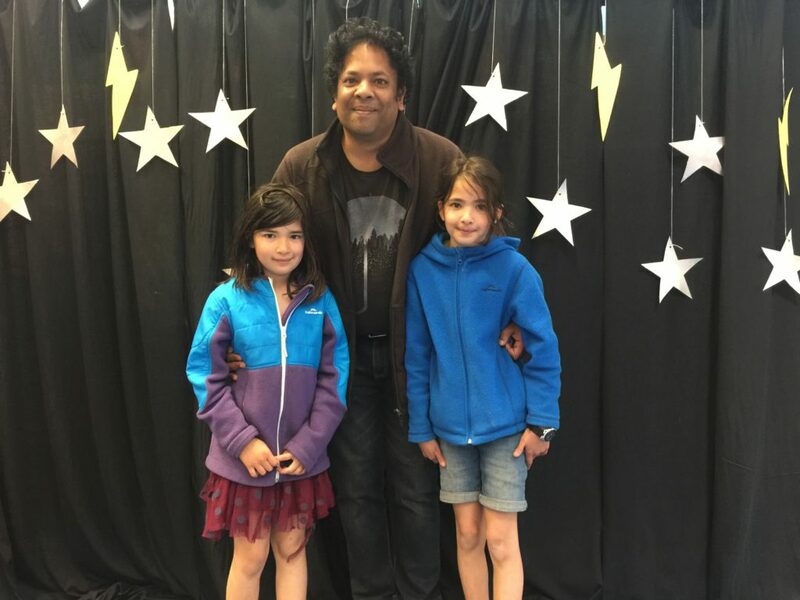 The night was a mixture of trivia questions, fun games and live music. From my point of view, it was a great learning experience and I will be better able to streamline it for next time. Thanks to all those who helped on the night especially Tony Carveth for running the games. 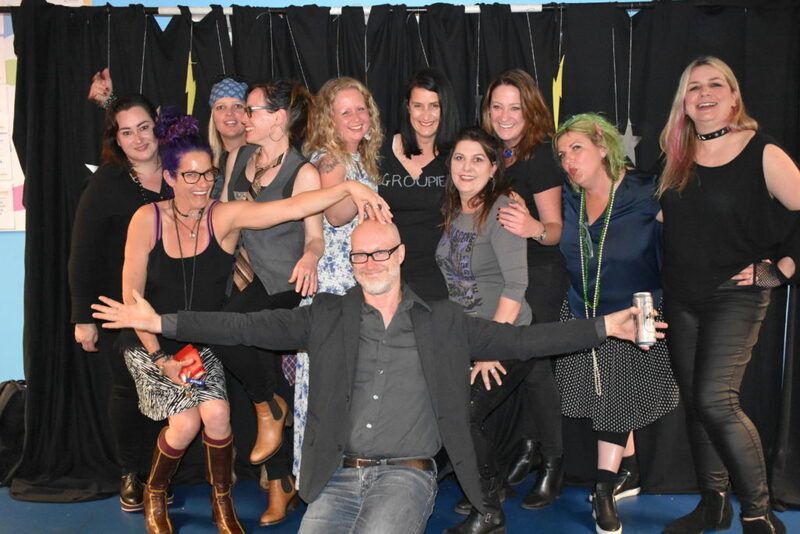 Some things worked well and some things didn’t but the overall vibe of the night was great and lots of people had lots of fun – the band was still playing well past midnight and to a hard-core audience of stayers who had hung around and were dancing and having a good time. From a fundraising perspective – because we provided everything ourselves, there were no external costs. This meant everything we took on the night was profit. 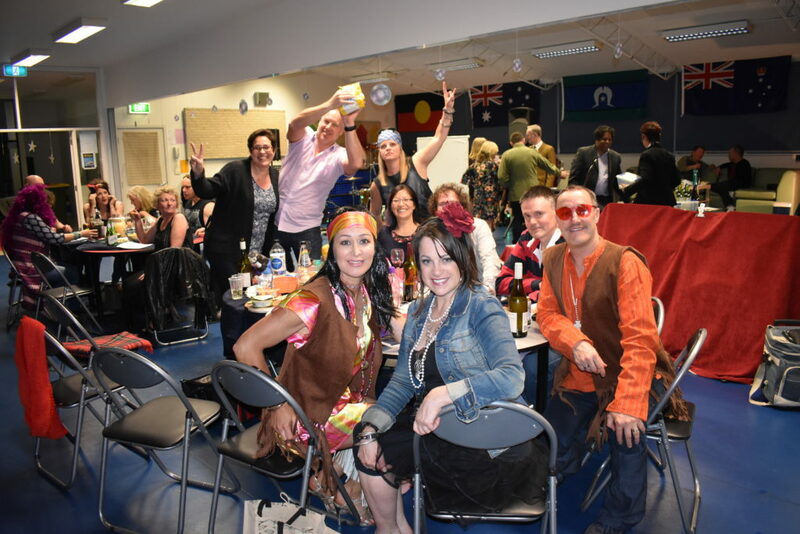 Special thanks to those who donated auction items and prizes – Melbourne Music Centre in North Road, Ormond, the Giouris family, Andrew Aitken and Caitilin Hawkins. Thanks also to Caitilin and Helen Matthews for the Cake Raffle donations. 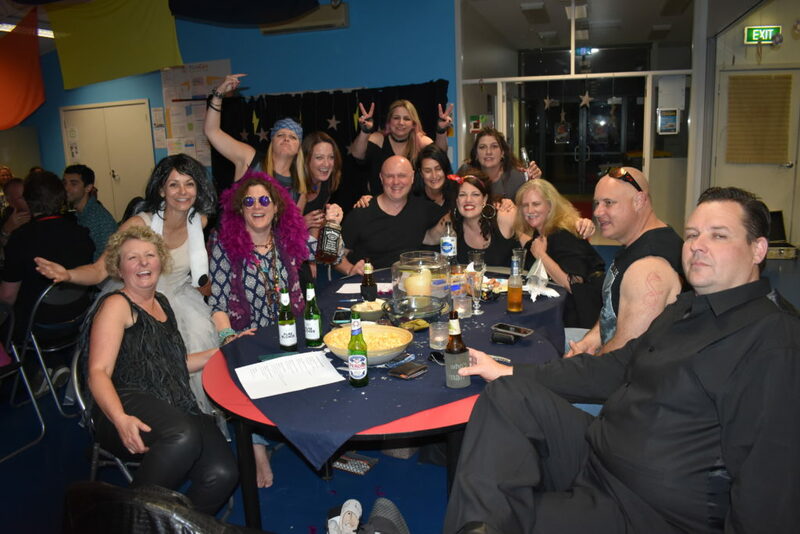 A very special thank you to our fearless Principal Libby Alessi who took to the stage to sing Bon Jovi’s ‘Living On A Prayer’ (a rendition that Mr JBJ would have been proud of) and to all those who tossed some money into the guitar case to show appreciation for her efforts. Thanks also to Ross Donnan for his wonderful artwork promoting the night. It was great to see so many people there including former parents and friends of the school community. The following day a small pack up crew of John Jacobs, Andrew Aitken, Mark Dorrington, Caitilin Hawkins, Laura James-Clark, Alice Jayaweera, Emily Jayaweera and myself got the classroom and hall back into order and the school cleaner ensured that things would be right for Monday. I’d also like to thank my wife Sarah McGregor for all her support. Overall it was an enjoyable night where people had fun and raised some money for the school all while dancing to the beat.